The Ordinary Sejm in Warsaw, called the Inquisitive Sejm. 1592 r.
The Sejm was convened in June, and the pre-sejm sejmiks were held in August 1592. The background to the convening of the Sejm were revealed plans to encourage King Sigismund III to abandon the throne of the Polish-Lithuanian Commonwealth and return to Sweden, as proposed by King Sigismund's father, King Jan III of Sweden, and secret negotiations with the Habsburgs over the transfer of the Polish throne to them, which the King had indeed thought about. 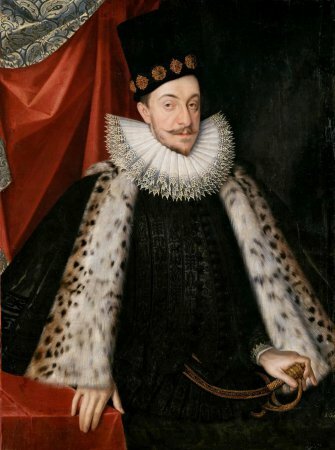 These cases caused considerable turmoil in the country, leading to a political crisis and a deepening of the King's conflict with the Grand Chancellor of the Crown, Jan Zamoyski, who demanded that the case be investigated (inquisition) and bad royal advisors be punished. The Sejm began its proceedings on September 7, 1592. The Speaker of the Chamber of Deputies was elected Jan Pac, the bailiff of Vilnius. Issues related to the king dominated the parliamentary session, obscuring issues related to threats from Turkey and Tatars. The Sejm concluded its proceedings on 19 October 1592. See: Dyaryusze i akta sejmowe r. 1591/1592 [Diaries and Sejm files 1591/1592], Issued by. 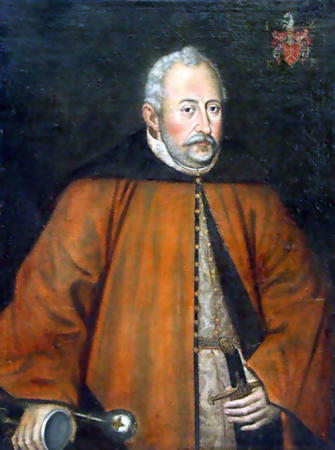 Edward Barwiński, Kraków 1911; K. Lepszy, Rzeczpospolita Polska w dobie sejmu inkwizycyjnego (1589-1592) [The Polish Commonwealth during the Inquisition Sejm (1589-1592)], Kraków 1939; J. Dzięgielewski, O zmiany ustrojowe czy o władzę? Konflikt między królem Zygmuntem III a kanclerzem Janem Zamoyskim [About the changes in the political system or about the power? The conflict between King Sigismund III and Chancellor Jan Zamoyski], in: Historia testis temporum, lux veritatis, vita memoria, nuntia vestutatis. 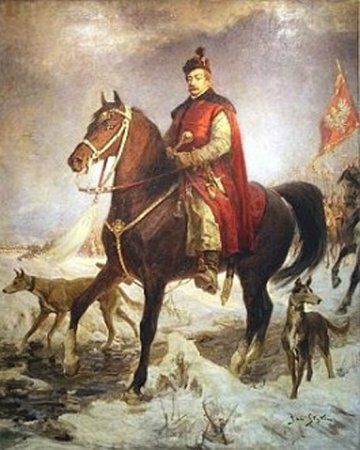 Księga Jubileuszowa dedykowana Profesorowi Włodzimierzowi Kaczorowskiemu [Historia testis temporum, lux veritatis, vita memoria, nuntia vestutatis. Jubilee Book dedicated to Professor Włodzimierz Kaczorowski], edited by E. Kozerska, M. Maciejewski, P. Stec, Opole 2015, s. 271-281; W. Czapliński, Sejm w latach 1587-1696, w: Historia sejmu polskiego [The Sejm in the years 1587-1696, in: History of the Polish Sejm], v. 1, Warsaw 1984, edited by J. Michalski, p. 217-299; K. Lepszy, Walka stronnictw w pierwszych latach panowania Zygmunta III [Struggle of factions in the first years of Sigismund III's Reign], Kraków 1929; J. Dzięgielewski, Odpowiedzialność szlachty za Rzeczpospolitą w sytuacjach konfliktów wewnętrznych w pierwszej części panowania Zygmunta III [The nobility's responsibility for the Commonwealth in situations of internal conflicts in the first part of Sigismund III's Reign], in: Udział społeczeństwa obywatelskiego we władzy i zarządzaniu Pierwszą Rzecząpospolitą (XVI-XVIII w.) [Participation of civil society in the power and governance of the First Commonwealth (16th-18th centuries)], edited by. D. Makiłło, Warszawa 2017, p. 77-85; E. Opaliński, Sejm srebrnego wieku 1587-1652. Między głosowaniem większościowym a liberum veto [Sejm of the Silver Age 1587-1652. Between the majority vote and the liberum veto], Warsaw 2001; I. Malec-Lewandowska, Sejm walny koronny Rzeczypospolitej i jego dorobek ustawodawczy. 1587-1632 [The Crown General Sejm of the Commonwealth and its legislative achievements. 1587-1632], Kraków 2009. Legislation see Volumina Constitutionum, V. 2, part 2, Prepared for printing by S. Grodziski, Warsawa 2008, p. 192-193.